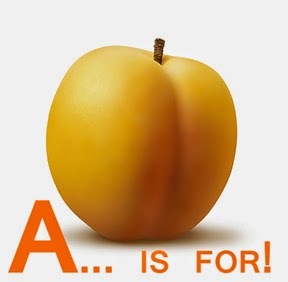 You Asked for APRICOTS, I give you Apricots... as part of the A to Z Challenge! The apricot is a small tree, 8–12 m (26–39 ft) tall, with a trunk up to 40 cm (16 in) in diameter and a dense, spreading canopy. The leaves are ovate, 5–9 cm (2.0–3.5 in) long and 4–8 cm (1.6–3.1 in) wide, with a rounded base, a pointed tip and a finely serrated margin. The flowers are 2–4.5 cm (0.8–1.8 in) in diameter, with five white to pinkish petals; they are produced singly or in pairs in early spring before the leaves. The fruit is a drupe similar to a small peach, 1.5–2.5 cm (0.6–1.0 in) diameter (larger in some modern cultivars), from yellow to orange, often tinged red on the side most exposed to the sun; its surface can be smooth (botanically described as: glabrous) or velvety with very short hairs (botanically: pubescent). The flesh is usually firm and not very juicy. Its taste can range from sweet to tart. The single seed is enclosed in a hard, stony shell, often called a "stone", with a grainy, smooth texture except for three ridges running down one side. Remember to join the A TO Z CHALLENGE, info above... info below! 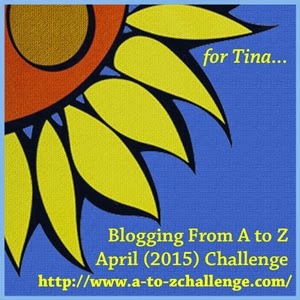 A to Z Challenge ... Away We Go all the way from Apples to Zebras! We have some new faces this year for Hosts, we have a great outlook for 2015 and tribute to Tina who we lost last year to due health reasons. Tina loved sunflowers and the simple things in life, though was a valued/loved member of our team... she kept me motivated and we miss her. We are going to share her memory and our themes with you all, we just want to shake off all the bad stuff of 2014 and welcome in the "A to Z Challenge " with open arms. My theme is going to be something, that something is still a something I am not sure yet! Every year I don't have anything set until about two weeks before, last year I winged it due to my own injury... so I hope to have something awesome this time where you all will come back for the entire challenge. 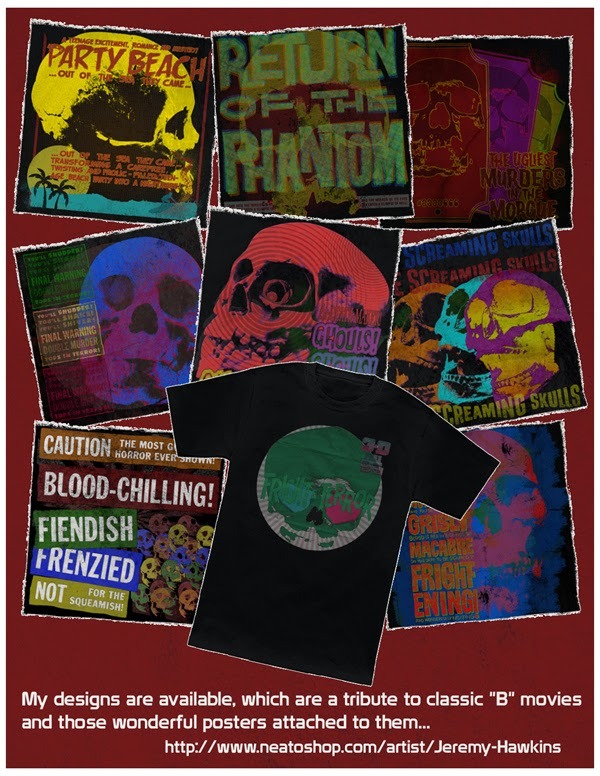 I have my newest t-shirt designs and I am thrilled... [CLICK HERE]! 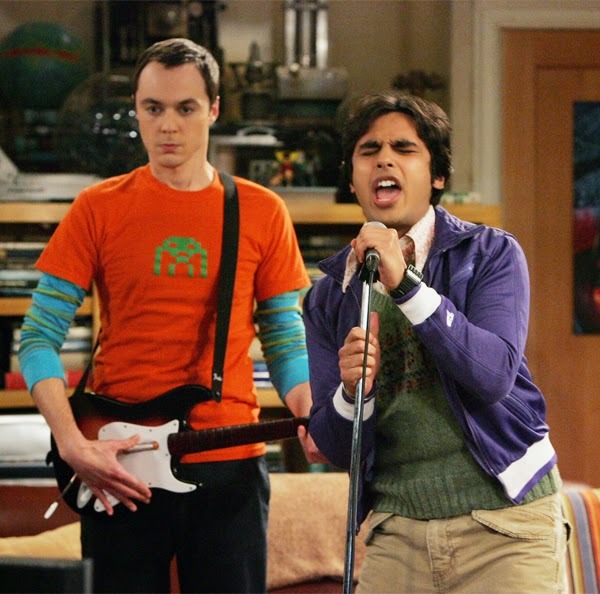 Rock Band: Sheldon Cooper "Special Edition" or HUNGRY LIKE A WOLF! STAR WARS: THE FORCE AWAKENS: Been Playing around in Photoshop, thought I would share!! First creative thought I have had all year, so maybe I am back the "creative" embargo is lifted... Here is one of my favorites. Finally got the word that my "new shirt" designs are coming, something that fits the new title here a little better. So if you want to see more "playing in photoshop" please click "HOWLIN’ WOLF: OLM"
Sheldon Cooper's Body Bag or JUST ANOTHER DAY IN PARADISE? 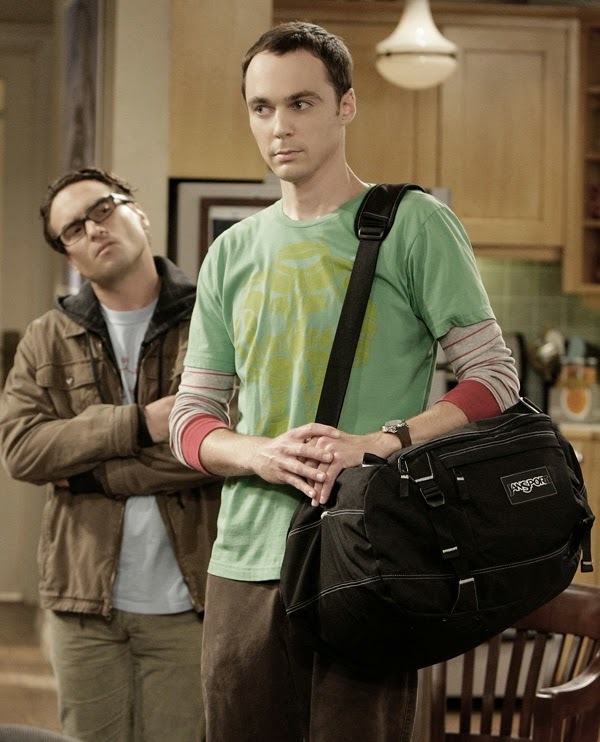 Sheldon Cooper and Penny [Caption this Photo] or F.U. Shiny, Happy People! Sheldon Cooper and Penny [Caption this Photo] or My Cord to Heaven is not long Enough? 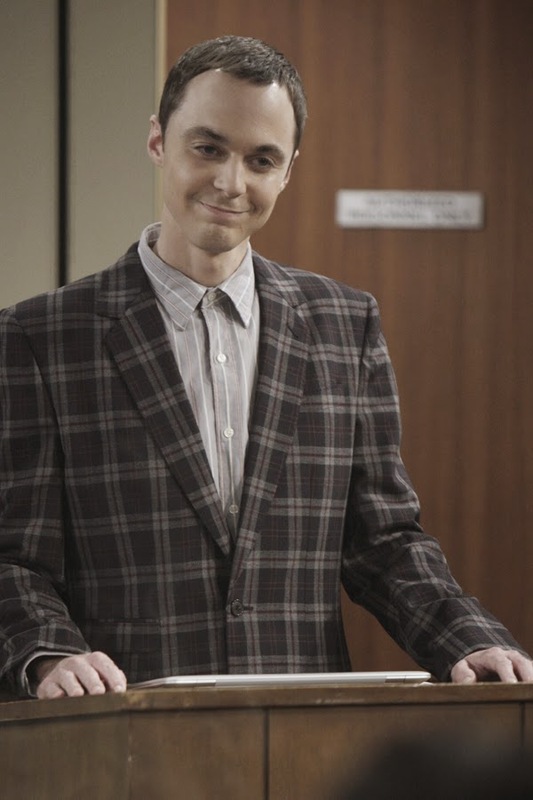 Sheldon Cooper and Penny [Caption this Photo] or We need more SNAKES, BURTON! Sheldon Cooper and Penny [Caption this Photo] or It's a Blue Moon? James Myers Thompson (September 27, 1906 – April 7, 1977) was an American author and screenwriter, known for his hard-boiled crime fiction. 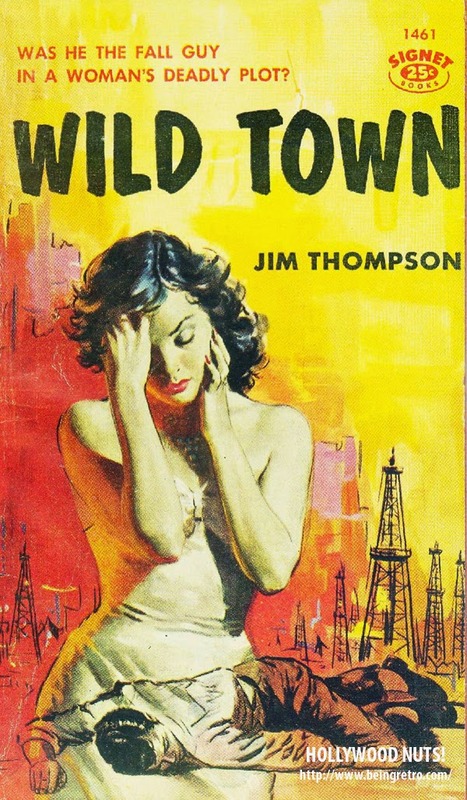 Thompson wrote more than thirty novels, the majority of which were original paperback publications by houses, from the late-1940s through mid-1950s. Despite some positive critical notice, notably by Anthony Boucher in The New York Times, he was little-recognized in his lifetime. Only after death did Thompson's literary stature grow, when in the late 1980s, several novels were re-published in the Black Lizard series of re-discovered crime fiction. Thompson's writing culminated in a few of his best-regarded works: The Killer Inside Me, Savage Night, A Hell of a Woman and Pop. 1280. In these works, Thompson turned the derided crime genre into literature and art, featuring unreliable narrators, odd structure, and quasi-surrealistic inner narratives of the last thoughts of his dying or dead characters. A number of Thompson's books became popular films, including The Getaway and The Grifters. Watch Out, The Watchmen Watches! or Why is he so BLUE! Watchmen is a 2009 American neo-noir superhero film directed by Zack Snyder and starring Malin Åkerman, Billy Crudup, Matthew Goode, Jackie Earle Haley, Jeffrey Dean Morgan, and Patrick Wilson. It is an adaptation of the 1986-87 DC Comics limited series of the same name by Alan Moore and Dave Gibbons. The film is set in an alternate history in the year 1985 at the height of the Cold War between the United States and the Soviet Union, as a group of mostly retired superheroes investigates an apparent conspiracy against them and uncovers something even more grandiose and sinister, while their moral limitations are challenged by the complex nature of the circumstances. When the comic series' final issue was released around October 1987, a live-action film adaptation became stranded in development hell. Producer Lawrence Gordon began developing the project at 20th Century Fox and Warner Bros. (parent company of Watchmen publisher DC Comics) with producer Joel Silver and director Terry Gilliam, the latter eventually deeming the complex comic "un-filmable." During the 2000s (decade), Gordon and Lloyd Levin collaborated with Universal Studios and Paramount Pictures to produce a script by David Hayter; Darren Aronofsky and Paul Greengrass were also attached to the project before it was canceled over budget disputes. The project returned to Warner Bros., where Snyder was hired to direct – Paramount remained as international distributor. 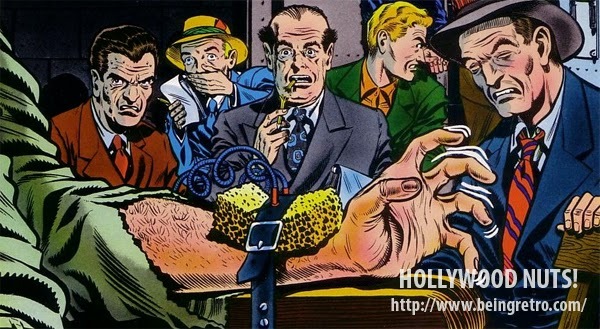 Fox sued Warner Bros. for copyright violation arising from Gordon's failure to pay a buy-out in 1991, which enabled him to develop the film at the other studios. Fox and Warner Bros. settled this before the film's release with Fox receiving a portion of the gross. Principal photography began in Vancouver, September 2007. As with his previous film 300, Snyder closely modeled his storyboards on the comic, but chose not to shoot all of Watchmen using green screens and opted for real sets instead. GUILTY... GUILTY... GUILTY! or it's RUFF out there! 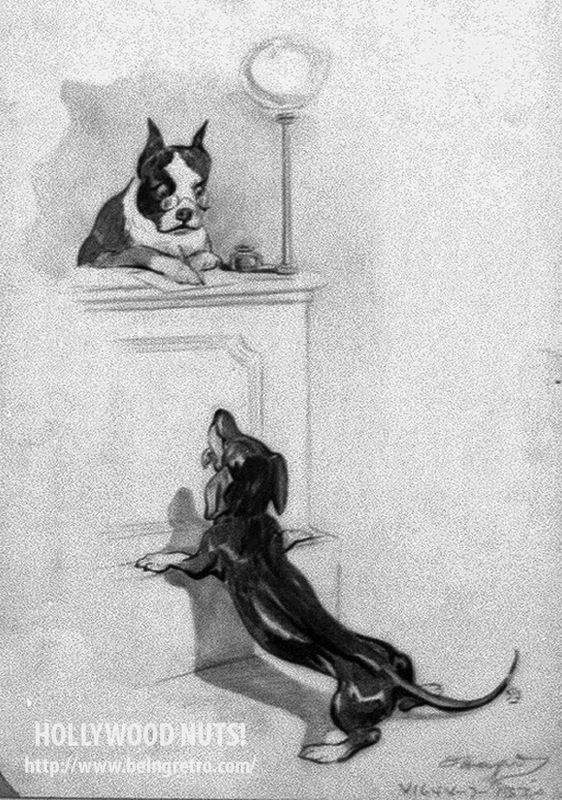 "The dog ate my homework" is an English expression purported to be a favorite excuse made by schoolchildren explaining their failure to turn in an assignment on time. The claim of a dog eating one's homework is inherently suspect since it is both impossible for a teacher to disprove and conveniently absolves the student who gives that excuse of any blame. Although suspicious, the claim is not absolutely beyond possibility since dogs are known to eat—or at least chew on—bunches of paper. It has grown beyond the educational context, becoming a sarcastic rejoinder to a similarly glib or otherwise insufficient or implausible explanation for a failure in any context. Kool-Aid was invented by Edwin Perkins in Hastings, Nebraska. All of his experiments took place in his mother's kitchen. Its predecessor was a liquid concentrate called Fruit Smack. To reduce shipping costs, in 1927, Perkins discovered a way to remove the liquid from Fruit Smack, leaving only a powder. This powder was named Kool-Aid. Perkins moved his production to Chicago in 1931 and Kool-Aid was sold to General Foods in 1953. Hastings still celebrates a yearly summer festival called Kool-Aid Days on the second weekend in August, in honor of their city's claim to fame. Kool-Aid is known as Nebraska's official soft drink. So a new year, new resolutions... what to do where to go? I have many things in my personal life, too many to get into and not that you have not got your own problems. I had a rough 2014, it's spilling into 2015... without control I am finding limited time for everything. I am going to ghost post for a little more time, I am happy you visit, I am happy you comment... you are my friends. I cannot let you down, your visits here are one of the few things in my life I still enjoy. After many times and attempts in life to do the right things, be successful in something... I find that I have been given a bad set of cards. I get into the water, I struggle to swim... eventually I drown, now that sounds a bit depressive and somewhere deep down it is. I try to overcome the bad stuff by just moving forward, sometimes I have a good day and sometimes not. I am trying something new, finding something in "just having faith" I can be guided to just be the best I can be... for myself. I am hoping for those who visit you have your own success and feeling of being whole... those like me who are searching... you are not alone. So a late "Happy New Year", for those who need a hug... I send it, for those who don't need a hug... I squeeze tighter. Be the best you can, you are the best and strength will come! Rest in Peace... to the world they were known and Hello, Goodbye!